Julia Louis-Dreyfus Has A Lot of Energy: How Do You Get Back to Normal After Cancer Treatment? What does it mean to get back to “normal” after having cancer? Is there even a normal anymore? A lot of survivors tell us that their lives change so drastically because of the disease, that “normal” is simply a thing of the past. Julia Louis-Dreyfus is a really great example of someone who took time to rest during cancer treatment, and now seems to running full speed. Louis-Dreyfus is extremely active – it’s hard to believe that she spent a large part of the past year battling breast cancer. She’s currently working on the final season on her hit TV show “VEEP,” she’s extremely involved in politics and getting young people to register to vote, and she picked up advocating for breast cancer awareness as another cause after her diagnosis last year. So how do you get your life back after cancer turns it upside-down? Louis-Dreyfus is a prime example of what people are constantly telling SurvivorNet, namely “I don’t act sick all the time, and please don’t treat me like I’m sick.” The actress underwent chemotherapy and surgery for breast cancer last year. 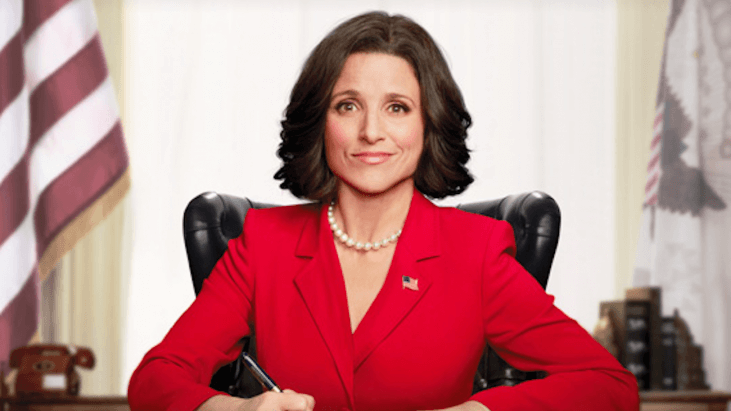 Filming for the final season of “VEEP” was delayed so that she could undergo treatment. Like so many breast cancer survivors, Louis-Dreyfus has seemingly come out of her cancer journey with a positive outlook. Attitude can play a pretty big role in how a person responds to cancer treatment, and their quality of life afterwards. “My patients who thrive, even with stage four cancer … those are patients who have gratitude in life,” says Dr. Zuri Murrell, a colorectal surgeon at Cedars-Sinai. Staying active and returning to work, or continuing to work through treatment, can provide a sense of self and normalcy during a really trying time. But not everyone facing cancer can manage that. Sharon Spencer, who was diagnosed with breast cancer at age 39, said she lost her job after she got really sick during treatment. “My first four chemo [treatments], I was so sick,” Sharon says. “I was hospitalized. I had the beginning stages of pneumonia, I would just lay in bed and just hold myself, and pray that I had the strength to get up.” On the other end of her cancer journey, Sharon started working in guest services at the Barclay’s Center … a job she truly loves. She credits a positive attitude for giving her the ability to pull through.